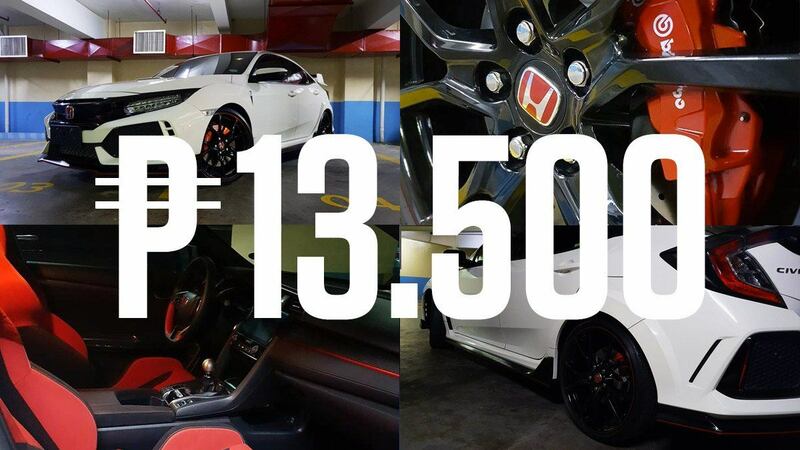 Can You Really Own A Honda Civic Type R For P13,500? Raffles are great because if it’s not something for free, then it’s an expensive thing for a small investment—and Pinoys just love get rich quick schemes. 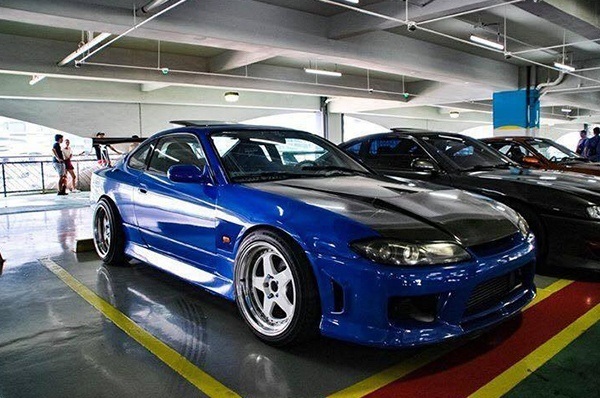 And for local car enthusiasts in particular, there’s a special kind of raffle that can really tempt them, a contest where you could win an entire car for a fraction of its cost: the car raffle. Often posted in model-specific or sports car-focused Facebook groups, these raffle draws usually follow the same OP: sign up for a slot, wait for every else to join in, plunk down the cash and then cross your fingers for a grand prize (or at least multiplying your investment with one of the consolation cash awards). Each raffle often includes 150-200 entries and according to some friends in the banking industry (who are really good at things like math and odds) that gives you a .5% chance at driving home something new. If there are consolation cash prizes, three in this case, then you have a 1.5% chance of nabbing one and that adds up to a 2% chance of getting something out of your buy-in at all. According to bank bro, “mataas na ang chance na yan.” He cautions that mataas is relatively speaking, of course, but for comparison’s sake he also said that “sa lotto alam ko the chance of winning is close to the chance of someone who didn’t join the lottery at all.” The temptation is real to gamble a measly two grand for an entire car then but the more cautious among you may think it’s too good to be true—so to confirm things, we spoke to two experienced raffle holders for the real talk behind it. What made you decide to raffle something as rare as a Civic Type R? Just for fun and for my company. Pero, take note, di natuloy ito kasi kulang ng 85 persons—di umabot ang 300 slots. Malaki kasi per slot and nagkamali din ako kasi June ko pinost, pasukan nun. So you didn’t really expect to sell it then? Yes, promotion ko lang yun sana for my company, GarageR, yun lang naman reason. Have you held other raffles before though? And did you make money off them compared to a straight sale? Meron na ako dati, napuno ko at natapos din. P6,500 per slot, 200 pieces pero kulang pa pera na yun para sa auto na yan–malaki nagastos ko dyan sa auto na yan. 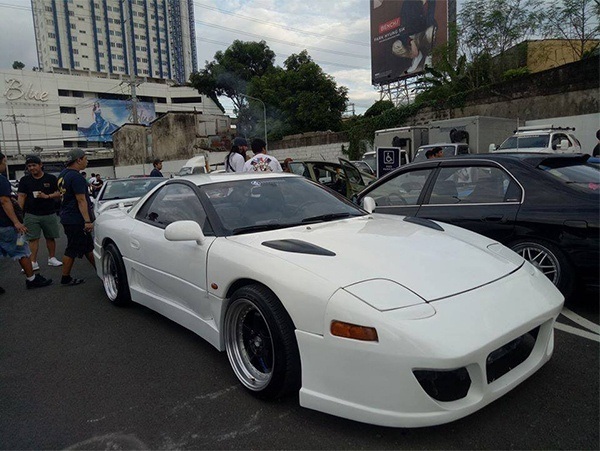 Yung iba, parang yung Type R ko, kung natuloy kikita sana. Prince operates his personal FB buy and sell page and is a hobbyist who likes to build cars and enjoy them while waiting for a buyer. Prince has held several raffles as well and he further explains how raffles are actually clever marketing tools for sellers. What exactly is your experience with car raffles? Nag-hold na ba ako ng raffle? Yes. Sumali? Hindi, takot ako mag pasok ng pera sa hindi po sigurado. Okay naman mag-raffle, problema lang dyan is matagal yung pasok ng income compared sa magbenta directly. Mas maganda lang ang raffle para sa exposure sa Facebook nung kotse. How many raffled cars have you sold so far? 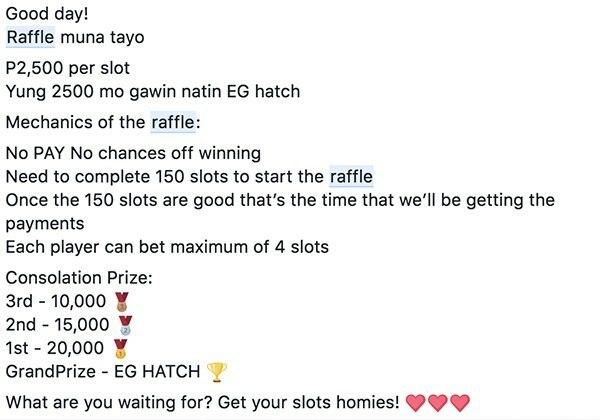 Wala, kasi mga posting ko it’s either raffle or sale–diba ang raffle nakakatulong sa exposure? So through posting as raffle nagkakaroon ng direct buyers, magtatanong sila usually magkano pag [straight] cash. 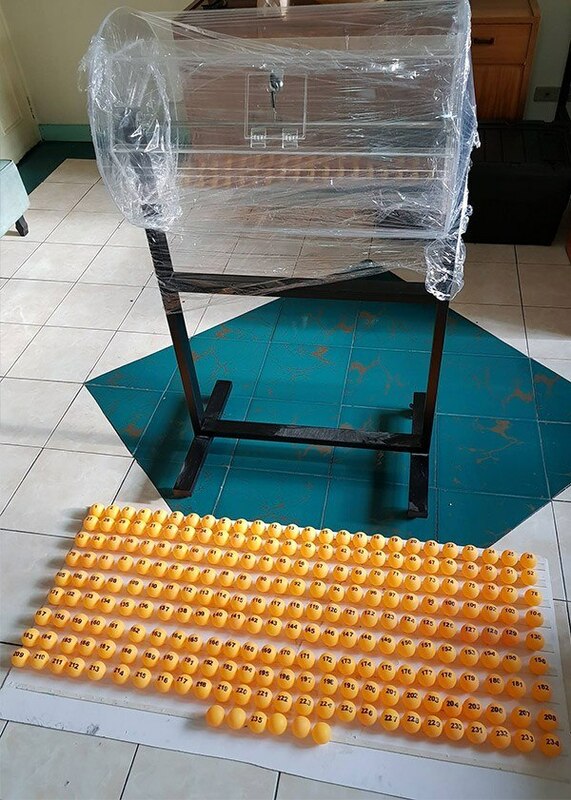 In the end, yung sasali ng raffle sana, sila na din bumibili ng kotse. Around 60-70% of the time. So what happens to all the slots/deposits? Hindi [kelangan i-refund] kasi di ako tumatanggap ng pera hangang hindi puno ang slots—reservation lang. Then pag bunutan na, di ko i-hohonor pag walang bayad. Yun ang mechanics. Do you get close to 200 slots during the reservation stage before someone steps in directly? Usually, less than 100 slots palang nag-papareserve nabebenta na yung kotse. Marketing strategy lang yun. 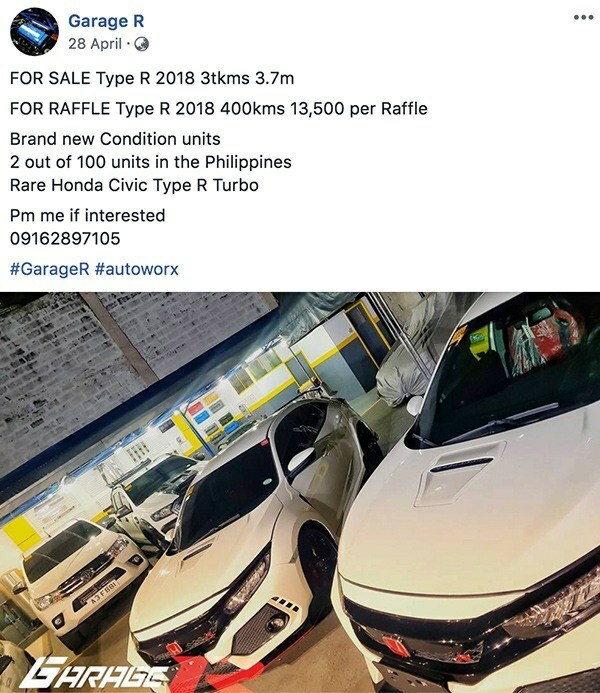 Pero pwede din if through raffling talaga ang sale kasi mas malaki ang income. Who came up with this method and when did it become popular in your opinion? 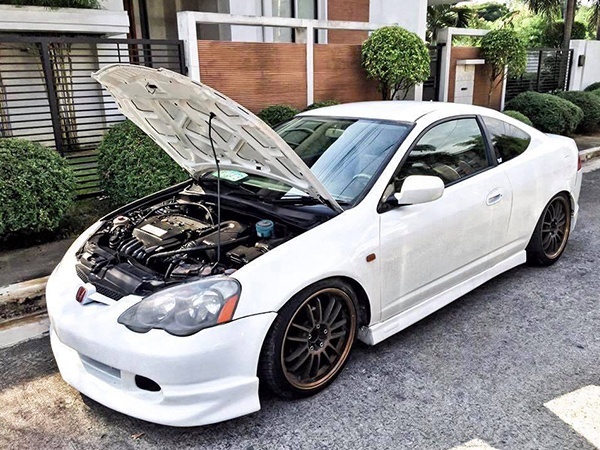 Nakita ko lang sa friend ko sa Facebook na mahilig sa Honda. Yung mga Civic niya usually P300,000 each lang ang pricing. Pag total ko sa slots niya aabot ng P600,000—less prizes malinis na P500,000 nakukuha niya so triny ko din. Mga two years ago yun, umaabot sa bunutan talaga and nakakailan na siya. But you’d rather sell asap? Yes, may limit kasi yan. Usually may timeframe ka. Pag malapit na ang draw date and wala ka pa sa 70% ng slots kaysa i—adjust yung date ibenta mo nalang if pwede naman na mabili. Anyone ever PM asking if it’s a scam or something? Wala, kasi di ako tumatanggap ng pera [if di puno ang slots] and hindi rin [ako sinabihan ng] luto kasi hindi na umaabot sa bunutan ng slots. 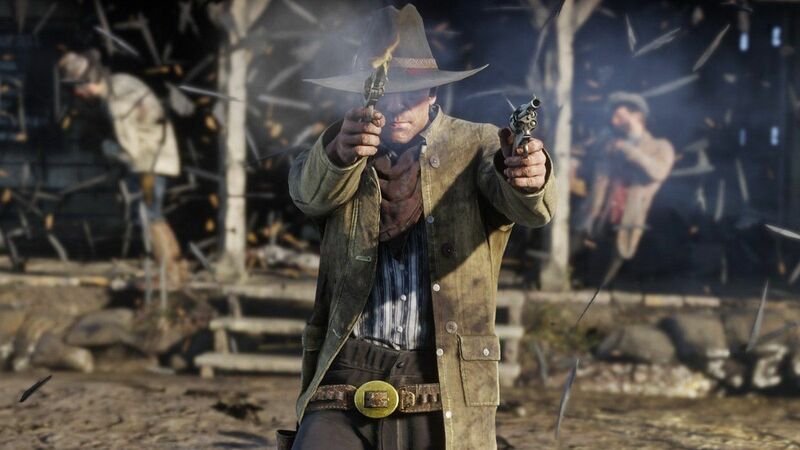 Is 'Red Dead Redemption 2' Already 2018's Game Of The Year?